They Team to Find Talent for Actors, Etc. 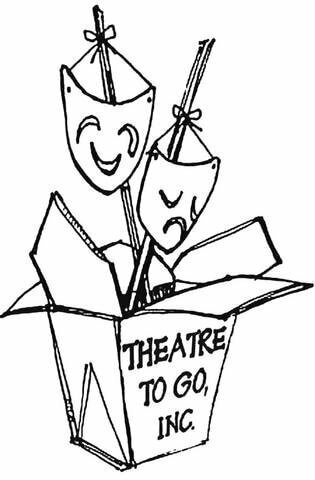 Theatre-to-Go celebrates its 25th anniversary as a division of Actors, Etc., Limited with a three-part “Halloween Extravaganza” Friday at Rick’s Boatyard Café. The event is almost as interesting as the partnership behind it. She recalls her Hollywood years—a ride home from the day’s leading man, Dennis Morgan; passing on a party at Errol Flynn’s, hanging out at the Garden of Allah and chumming with character actor J.C. Flippin and Jack Carson’s girl friend. Randy also did LA for 13 years before moving back to Omaha in 1994. Among the more unusual interludes: a week working for Zsa Zsa Gabor at the moment in time when she was in trouble for slapping a police officer. Learning that Randy was a budding writer, she mentioned her hopes for a biography, but that didn’t fall into his lap. So mother and son get ready for the next show at Rick’s, a combo costume party with prizes, the Spirit Encounter Séance in Victorian style with Gregor the Spirit Guide, and the latest incarnation of their game show, “You Don’t Have a Clue.” Doors open at 5 p.m. for drinks and dinner, and the Halloween Extravaganza begins at 7:30 p.m. for $20. Standup comic Stuart Yoder hosts the game as Max Moolah aided by the woman required by tradition to be called “his lovely assistant Heather,” in this case, Leanne Hill Carlson, fresh from starring in the musical Legally Blonde at the Omaha Community Playhouse. Then on Nov. 9, Theatre-to-Go returns to Rick’s with another of their mystery plays, Murder at the Calumet Social Club. It explains why she has a pink machine gun on a living-room shelf, just above the loosely-wrapped mummy on the floor. While Manya started writing mysteries 25 years ago, this is one of a half dozen written by Randy. It stars such well-known local talents as Ron Chvala, Erika Hall and Don Noel. “We don’t use the audience as actors,” Manya explains. “We use them to question the suspects,” actors armed with lots of background facts about their characters but not bound by a script. The senior half of this partnership, both agree, is the louder one. “She likes to yell at people if she thinks they’ve done something wrong,” Randy admits. Bob is available for commercials, corporate events, you name it. If it involves entertainment, the 34-year-old umbrella organization, Actors, Etc., does it. Corporate shows were bigger before the recession hit in 2008, but the Noggs keep busy finding talent, not just for their own shows but for commercials and films. Scan their multi-colored flyers and you’re likely to find anything from the new Victorian séance to their own big-name speakers’ bureau. What else have they done lately? The Noggs helped John Jackson, the Council Bluffs native who casts Alexander Payne’s movies, line up actors from Omaha before shooting was to begin in Norfolk on his “Nebraska.” They rounded up about 50 possiblities, Jackson narrowed the field further, one was hired and, when we talked, two more were under consideration. Some roles were being saved for Norfolk residents. A few years ago, they helped with the George Clooney hit, “Up in the Air,” when it shot a few scenes here. More recently, they supplied extras for a Lady Gaga video, which required lots of bikers for one scene. Actors, Etc. came to the rescue by catching up with a crowd of bikers at a poker run. What keeps her going in her 80s? It helps, as hinted by the jobs cited above, “that I never get bored with it.” And she’s tackled the challenge of adapting, for example, when the corporations cut entertainment budgets. At the peak, the Noggs did 20 or 30 corporate shows a year. It helped to have a husband and father, Alvin, highly successful in the family paper business and other enterprises. So they rode out the corporate cuts, adding the mysteries at Rick’s more than two years ago. Earlier, the mysteries were customized for corporate clients. Now they’re aimed at a more general audience. “I can’t recall an audience that was disappointed,” notes Don Noel, one of their frequent actors and a veteran of the advertising business. Randy once thought of himself more as a writer than a talent-caster, but accepts the broad range of duties required by their diverse business. His mother marvels “that we haven’t killed each other,” given more than occasional disagreements over 18 years together.